A great Christmas gift is one that lasts. Far better than a predictable item of clothing or an unimaginative gift card, a facial treatment is a wonderful gift that keeps on giving as the winter weather starts to take a serious toll on our skin. The winter months present a whole host of challenges. From the harsh drying effects of central heating, to the colder winds that become more blustery and frequent, often people may find that their skin is more delicate during this time of year. By ensuring that you take extra care of your skin during winter, you can help your skin’s natural glow to shine through. And if you’re stuck for a Christmas present, then the gift of a fortifying and enjoyable facial treatment may be the perfect treat for someone special! The blustering cold winds of winter can be awful for your skin in many ways. And as the humidity levels drop, your skin is likely to suffer from the lack of moisture in the air and experience dryness and flakiness more frequently as a result. This also makes skin more vulnerable to harsh winds. For men and women of all ages and skin types, winter can cause damage to your skin and intensify any skin conditions you might already have. One of the best remedies for this is a facial treatment that identifies your skin’s needs and works with it to restore its natural balance. Winter is also a time where people turn up their heating to the max and take long hot showers and baths to relax after facing the cold during the day. While it’s hard to argue with the soothing and calming benefits of an indulgent hot shower or bath, if you don’t take special care, it can actually be quite damaging for your skin causing dehydration and dryness. As well as humidifiers and using slightly stronger moisturisers that can help to combat these effects, one of the best ways to keep your skin hydrated during winter is to book in for a facial treatment from a beauty expert who understands the science behind good skin. For many people, the holiday season comes hand in hand with some unfortunate bad habits. A time when comfort eating, lack of exercise and large, carb-heavy meals are plentiful, this all has an impact on your skin. Of course, we’re not saying you should deny yourself your Christmas treats, but it is well worth remembering how certain foods such as sugary snacks, salty party foods and increased alcohol consumption could lead to more winter break-outs. As well as keeping an eye on your overall diet and skin health, a great way to remedy the effects of your winter lifestyle is to undergo a rejuvenating facial treatment to balance out your skin’s oil levels and to detoxify your skin cells from unwanted toxins. 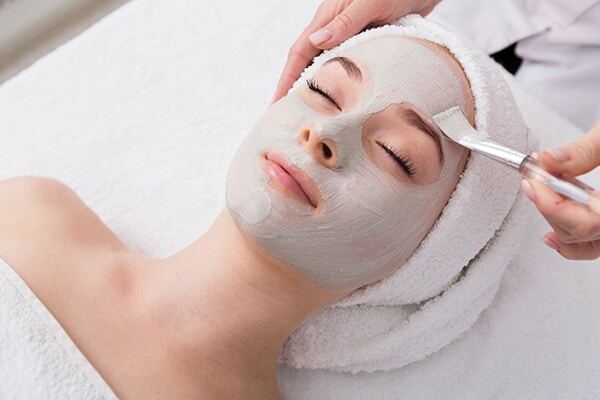 Our express facial is designed to give our clients the best possible treatment in just 30 mins, cleaning, exfoliating and deeply cleansing your skin with a personalised face mask uniquely tailored to you. The perfect cure for severe winter weather, a deep hydration facial may be the best way to replenish your skin’s moisture levels, creating balance and recovering tired and stressed looking skin back to its usual lustrous glow. By identifying your skin type, acne or skin condition, we can offer you the most suitable facial treatment that will help to reduce any uncontrolled breakouts, blemishes or blackheads this winter. We use a special method of treatment that steams and exfoliates away dead skin cells, bacteria and debris, leaving your skin ready to reach its optimal PH balance. Our Deep cleanse facial results in clean, hydrated and smooth skin that you can maintain much easier throughout the festive season. This treatment uses a combination of ingredients such as Vitamin C, plant extracts and various antioxidant-rich elements to treat your face, eyes, lips and neck. The best reason of all to give your loved one (or yourself) a facial treatment for Christmas is that it is likely to improve your mood massively. Winter, despite all its wonders, can often be dark, cold and stressful as you make all the necessary preparations for the New Year ahead. Treating yourself to a spa day at Primas Medispa and including a facial treatment is not only a great way to restore your skin health and appearance, but it will also lift your spirits! If you want some honest advice from a friendly team of trained beauticians and medical staff, Primas Medispa will do all it can to provide you with the experience our clients deserve this Christmas. Simply drop by the spa right by St. Paul’s Cathedral or give us a call on 0207 213 9550 to book your facial treatment today!